It is best known as 'Aama' digestive herbal tablet. More specifically, it is used in Ayurveda for Fevers, Rheumatoid arthritis, Chronic disorders of digestive system including indigestion, lack of appetite, chronic constipation, mal-absorption syndrome etc. It is useful for Vata and Kapha disorders. Best natural solution for auto-immune disorders. Embelia ribes - It is effective as an anti-inflammatory and anti-bacterial activity. It is useful in treating intestinal worms, skin diseases, flatulence, colic, constipation, cough, asthma, bronchitis and general weakness. It is useful in treating general debility and restores good health. Zingiber officinale - it is an excellent stimulant and carminative, and is useful for dyspepsia, nausea and colic. It is also useful in lowering the cholesterol, and has properties like blood thinning and hence useful in Heart diseases. It is also useful in reducing the joint pains and inflammation. Piper longum - it is effective as digestive and carminative. It also has various properties like anti-inflammatory, haematinic, sedative, cholagogue, digestive, appetizer and carminative. It is useful in respiratory disorders. It stimulates the nervous system and counteracts drowsiness. It acts as analeptic and hypotensive. 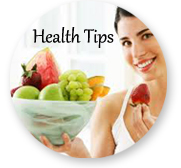 Its prime importance lies in treating digestive disorders. Terminalia chebula - it is astringent and gentle purgative. It is an excellent anti-oxidant. It is useful for all kinds of digestive disorders and treats diseases pertaining to liver and enlargement of spleen. It is a good rejuvenator and restores good health. It treats debility and general weakness. Because of its laxative nature, it eliminates the toxins and relieves pain and inflammations. Terminalia belerica - it acts as an anti-inflammatory and analgesic. It is useful in treating dyspepsia, biliousness, cough, bronchitis, and upper respiratory tract infections. It is also useful in treating worm infestations. Emblica officinalis - it is an excellent rejuvenator and promoter of strength and vitality. It has various properties like anti - anemic, anabolic, anti-hemorrhagic, diuretic, anti diabetic and carminative. It is an excellent anti-oxidant. It is also useful in treating liver disorders and gastrointestinal disorders. It is an excellent tonic for general health and to improve the stamina. Tinospora cordifolia - it is effective as anti-pyretic, anti-periodic, anti-inflammatory, anti-rheumatic, spasmolytic, hypoglycemic and hepato-protective. It is effective in treating urinary disorders, rheumatic and bilious fevers. It is also useful in treating jaundice, anemia, polyuria and skin diseases. It is also a good rejuvenator and helps in improving the strength of the body. Semecarpus anacardium - the drug has effective anti-inflammatory and anti-tumor activity. The drug is used after it is purified and when purified, serves various benefits. 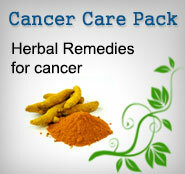 It is also useful in treating malignant growths and rheumatoid arthritis. Aconitum ferox - the drug is well purified and used for the preparation of medicine. It is effective as anti-inflammatory, anti-leprotic and sedative. On the whole, it is an excellent herb that acts as an analgesic, anti-inflammatory and anaesthetic activity.